Improving your photography does not require upgrading to a new camera body or buying that fancy lens you've had your eye on. There are lots of small investments that you can make that will have a big payoff in the quality and range of your photography. 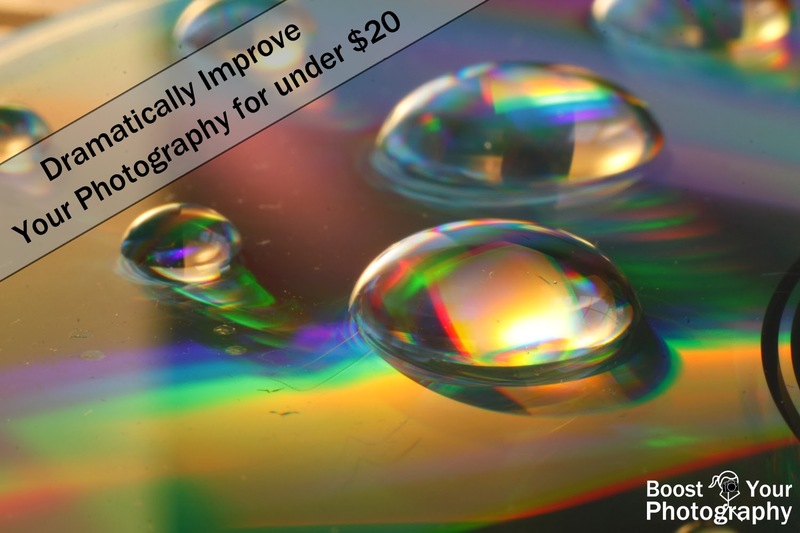 This article highlights some inexpensive purchases that you can make to give your photography a quick boost. Take a trip to your nearest school supply or big box store, and you will find tri-fold boards that remind you of your Science Fair days. A white tri-fold board makes an excellent background for high key or product shots, allowing you to get a bright, all-white background. You can also use it as a reflector, to bounce light back onto your subject. A black tri-fold board can be used for low key shots or to provide an all-black background for darker, moodier images. Just a few dollars gives you a multipurpose tool that provides a lot of new options for your photography. Read more in Easy Photography Upgrade: the tri-fold board. A white tri-fold board makes a great high key background. A black tri-fold board makes a dramatic low key background. Scrapbook paper comes in 12 inch squares with a wide variety of colors and patterns. You can get a pack of different patterns and colors or just a handful of single sheets at any craft or scrapbook supply store. These can be used as background or settings for smaller objects and can be used to create patterns or designs when shooting oil and water or water drop shots. Scrapbook paper makes a great background for product photography. Oil and water photographed above the same piece of scrapbook paper. A remote shutter release gives you a new range of flexibility when using your camera. A remote is particularly useful if you want to get in front of the camera, as it allows you to focus and then take pictures of yourself easily. A remote is also a useful tool in combination with a tripod. A remote lets you trigger the camera without touching it or adding potential motion to your still shot. Read more in Easy Photography Upgrade: get a remote shutter release. Finally, a remote is the best way to utilize the ‘Bulb’ mode on your camera. 30 seconds is often the longest set shutter speed option on a camera, but bulb mode lets you keep the shutter open for an indefinite amount of time. Look for a remote that has an option to hold the trigger button depressed. 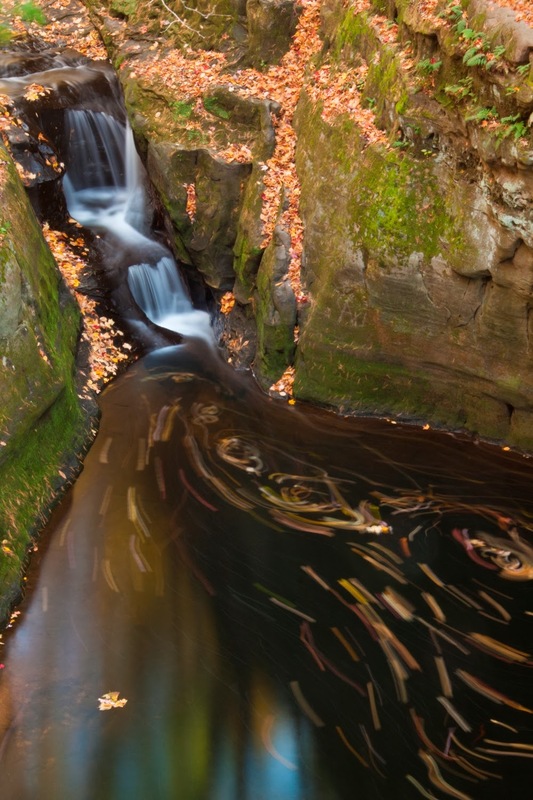 Bulb mode is useful for any long exposure situation, such as light trails, star trails, or images of slow, silky water and waterfalls. 45-second image captured using a remote release. Read more about Waterfall Photography. This image is available for purchase. Macro or close-up photography lets you explore the tiny details of the world around you. While dedicated macro lenses cost hundreds of dollars, a small investment can lead you to macro-level results. Read about Macro and Close-Up Photography Tips and Tricks for advice about how to get the most out of your investment. Close-up lenses are filters that screw on to your existing lens. They act like a magnifying glass and allow you to get closer to your subject than your lens’ normal minimum focusing distance. Read more about close-up lenses here. A set of four close-up lenses are available on Amazon for less than fifteen dollars. Snowflakes captured with a +4 and +10 close-up lens on a 50 mm lens. A reverse ring allows you to mount your camera lens on backwards for close-up results. You can read more about reverse ring mount adapters here. Purchase a reverse ring that fits your camera model as well as the diameter (width) of the lens you want to reverse. Extension tubes mount between your lens and the camera, changing the minimum focusing distance and allowing your camera’s sensor to record details over a much smaller subject. A full description of using extension tubes can be found here. Generic metal extension tubes are sold in sets of three and cost less than fifteen dollars, while specialized tubes maintain the electrical connections with your camera’s body and cost over $100. Can't decide between the three? 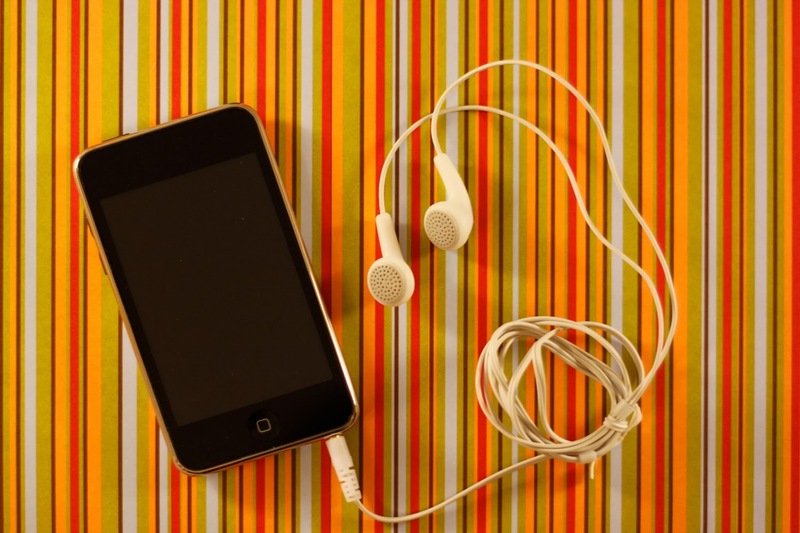 Read more on Cheap and Easy Macro: comparisons and recommendations. Reflections can really add something to a photograph, and a mirror is an inexpensive item that can provide endless photographic opportunities. You can find large mirrors at a very low cost at your local craft or hobby store – they are often sold near candles to create a decorative centerpiece. I have a 12-inch round, frameless mirror that I use frequently in photos that I purchased for about $8 at a hobby store. I have been considering going back for a larger version, to make it easier to avoid having the edge of the mirror appear in the image, but the 12-inch size provides reasonable coverage without being bulky. Candles reflected in a mirror. 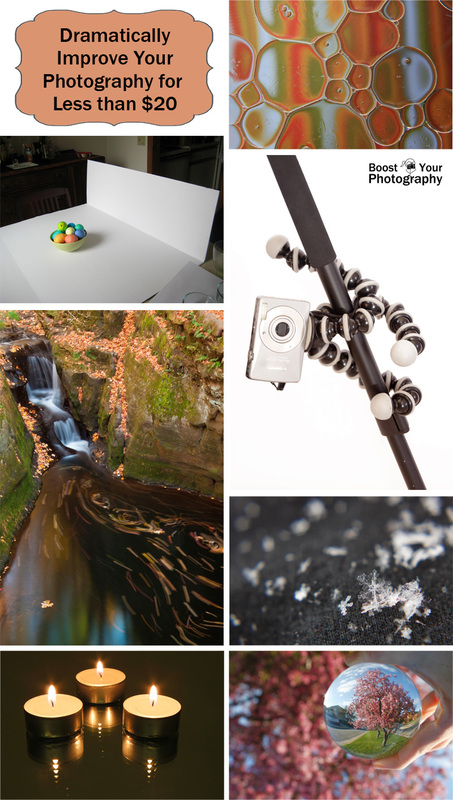 Want something fun and different to play with in your photography? A crystal ball is a great prop for creative and unusual photographs. There are several sizes of crystal balls available easily online. The 50 mm and 80 mm sizes work well for photography. The 50 mm size is more portable, while the 80 mm size (pictured below) is a bit larger and easier to use for more encompassing scenes. A reflector can make a big impact on your portrait and close-up photography. 5-in-1 reflectors give you a variety of options to use when bouncing and diffusing light. Reflectors are useful in both indoor and outdoor lighting situations and can help balance light in the scene. These reflectors are also compact and portable, folding down into a bag smaller than a salad plate. 5-in-1 reflectors start at around $15. Water drops on a CD. White reflector used to balance light from the window. A tripod opens up many new avenues in your photography. Freeing yourself from the camera allows you to take better self portraits (read more about How to Shoot a Successful Self-Portrait ). A tripod also gives you the flexibility to shoot photographs with longer shutter speeds. See examples in the article on What an Aperture of F/22 Can Do for You. GorillaPod is a brand of flexible travel tripods that provides the functionality of a tripod in a convenient, portable size. A GorillaPod can be used as a traditional, three-legged, tripod, but it can also be wrapped around bars, fences, or posts for an unusual point of view. 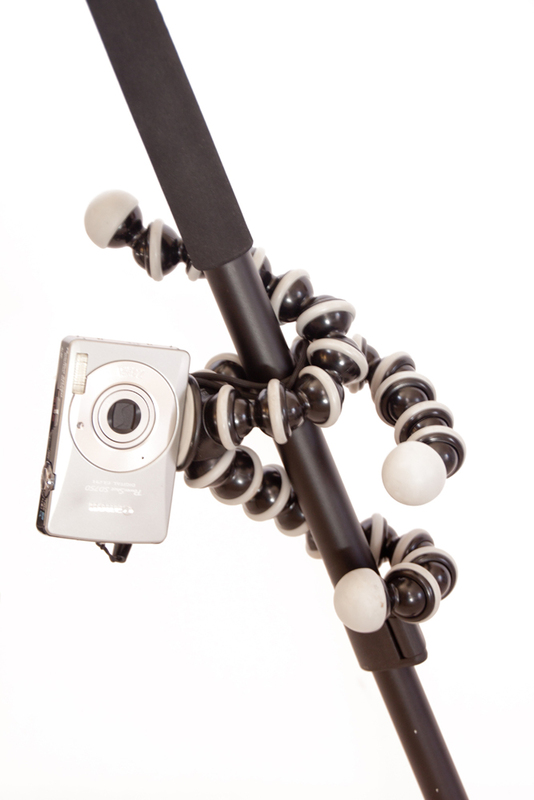 A GorillaPod is small enough to fit in a larger purse or camera bag and comes with an inexpensive price tag. Entry-level GorillaPods for point-and-shoot cameras start under $20, and the larger version for supporting DSLR cameras start around $30. Read more about How to Maximize Your Tripod or Product Review: GorillaPod Tripod. This photograph was taken with my DSLR on a GorillaPod wrapped around a metal spoke. You do not need to spend a lot of money to greatly increase the quality and variety of your photographs. Basic backgrounds, using tri-fold boards or scrapbook paper packs, can add variety and simplicity to your images. A remote shutter release will get you out from behind your camera and provide the ability to take sharp, crisp pictures and long exposures, even beyond 30 seconds. There are several inexpensive options to get you started with close-up and macro photography, including close-up lenses, reverse rings, and extension tubes. A mirror or mirrored surface is an easy way to play with reflections, while a crystal ball can do more than tell your fortune. A reflector can move you forward in your portrait photography and improve the light in your close-up images. Finally, a tripod is an important investment, and a travel tripod, like the GorillaPod, is a great way to get the functionality of a tripod at a convenient price and portable size. So many options! What will you do first to boost your photography?